But – exactly. And also – can it, really? Because Reason has a of doing things in a, well, Reason-y way – one that keeps its die-hard fans uniquely loyal. And it sometimes has a way of doing things best. Reason 9’s feature list should at least satisfy existing users, with some new stuff that could change how you work. It continues Reason’s long march toward doing things that DAWs do. It also continues to do so in a way that is ruggedly, stubbornly consistent with earlier releases. I need more time to do a full review. But I’m impressed already with the new additions to Devices, as well as the sound quality of the pitch editing engine. Reason is the one mainstream production workstation that’s patchable. Remember when modular was a niche thing? Now, from hardware Eurorack to software environments like Softube’s virtual module or Reaktor 6’s Blocks, it seems patch cords are as ubiquitous as faders. Reason has had patch cords since version 1.0, and that means all its virtual devices can be combined and re-combined however you like – even as rival environments make something as simple as sidechaining a major chore. Adjust intonation, change pitches, and adjust vibrato with monophonic audio sources – natively in Reason 9. You can now natively change the pitch of audio. The dream of editing audio pitches as easily as MIDI is basically as old as MIDI. We’ve been waiting for a DAW to really get this right. 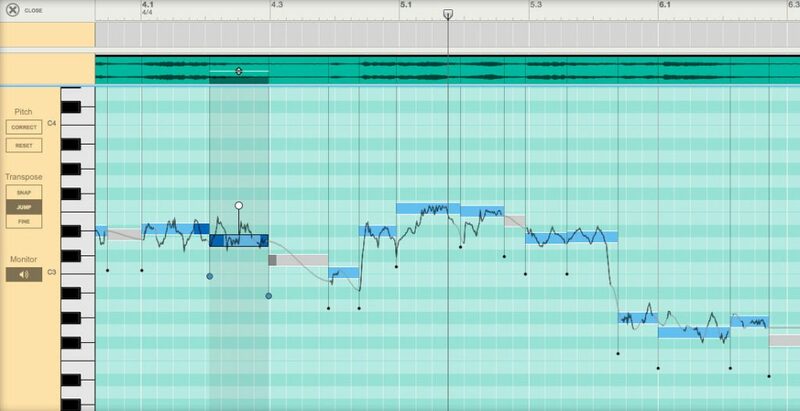 We’ve watched some half-assed implementations, and we’ve seen DAW makers try to bake Celemony into their DAW – which gives them a pretty decent environment, but generally crippled in functionality and not native to the DAW. Well, now Reason has gone all in. All the usual features for monophonic lines are there – adjusting intonation, changing pitch entirely, adjusting vibrato, and for light edits, heavy fixes, or experimental uses. You’ll still want Celemony for polyphony, but it’s nice to see it integrated here. My first impressions were really good, and more experienced Reason users I’ve talked to have been absolutely blown away. This could be a reason to dive into Reason again, no doubt. The three “Players” give you some powerful options for transforming MIDI. It’s got new note-transforming devices. Dubbed “Player” devices, three devices focus on MIDI. 1. Note Echo: rhythmic, pitched delays, rolls, and the like. 2. Scales & Chords: monophony and polyphony, they are … things. 3. Dual Arpeggio: well, two arpeggiators. But that means you can make polyrhythms, and each on its own is powerful. Do other DAWs have this? Yep. Can you patch into them? Nope. And there are some other nice details here (weirdly a lot of DAW arpeggiators are … not terrific); I’ll cover this in the review later this summer. There’s a dual channel LFO, free. Pulsar was one of the better devices for the Rack when Propellerhead released it – but now you get it free instead of shelling out fifty bucks. That may anger people who did purchase it, but I think it’s reassuring: for anyone who thought Reason would become an empty shell and you’d have to buy all the new devices, App Store style, that’s clearly not what’s happening. And let’s say again: modular patching. It’s the business. LFOs just aren’t as flexible in any other DAW, because you have to deal with restrictive routings. There’s finally a dark theme. Black is the new black. Bounce in place. Augh. Yes. This one is huge for me – you can finally bounce in place to quickly create audio clips from soft synths. Oh, and … wait a minute. Then you could edit that with the new pitch editor and … hold on. I may have to go seriously abuse these features. Reverse MIDI and automation with a click. Also clever and creative. Split notes with the Razor tool – as you would audio. Necessary. And there are 1000 new sound presets, though… c’mon, let’s make our own! Who needs sleep?